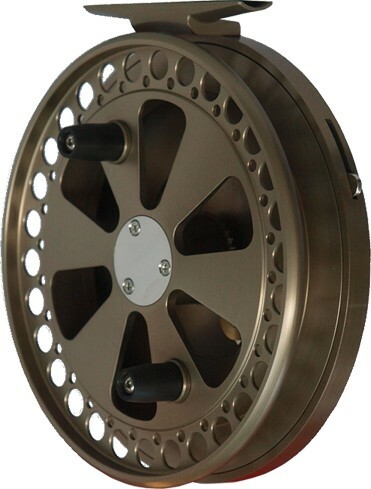 This reel model is no longer available but we have parts and will of course provide service for it. The Revolution model is made for those who prefer a 5" reel in their hands. The spoked spool is a distinctive look while the ABEC 5 stainless steel bearings, anodized aluminum finish, and stainless steel components will ensure long durable service.